As I counted the islands below me — Andros, Grand Turk, Anegada — I couldn’t imagine that in less than 20 hours, this vast blue ocean and clear sky I see out of my airplane window will soon be engulfed by an encroaching storm. I was flying into Hurricane Earl. I had spent a wonderful nine days with Irene in Miami over the break and to be honest, I didn’t feel ready coming back to school so soon, but I knew I needed to. Just the night before, I had learned about the upcoming storm, but I was not worried. I had already attended hurricane preparedness meetings earlier last semester and knew the school acted as a shelter for the AUC community during hurricanes every year. 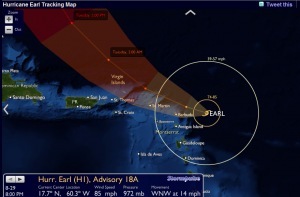 Instead, I felt curiosity, as it would be my first hurricane experience on the island. 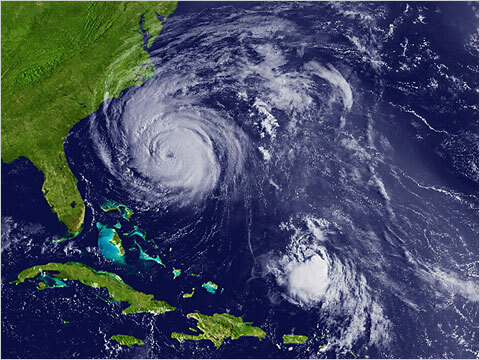 I assured Irene that I’d be safe. As my plane arrived closer to the island, the clouds became heavier and heavier and after a shaky landing, we arrived in St. Maarten. It was 1:30pm and the weather was not bad. It was a little windier than usual, but it felt good. It was a little uneasy knowing this comfortable breeze was a sign of something much larger coming our way. On the way home, I passed by men nailing boards onto windows in preparation for the storm. On campus, the windows were also boarded up as well. I had just arrived home after a nine-day absent, and my apartment was humid, dusty and dark. There was no food I could readily eat in my cabinets or fridge, and there was no time to go to the grocery store, if they were even open. 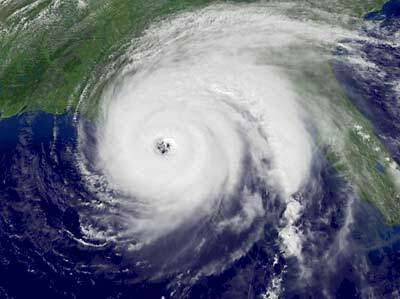 Power and water are known to shut down on the island during hurricanes and I did not want to risk being stranded in the dark, the heat, or isolated from other human contact during this event. As I was living alone, I decided it was best if I stayed on the campus shelter during the upcoming hurricane. Together along with 58 of my fellow classmates and many faculty members, I grabbed my pillow, blanket, and toiletries, and headed to campus. It was 5pm, and the rains started pouring. I claimed myself a mattress, and Arif and I decided to set up camp in the multipurpose room. As the evening approached, our dinner time approached as well. If you’ve been around this area, you know BB’s Grill is not located under the most stable structure on the island. Surprisingly, we found BB’s still open for business, despite the plastic tarp covering their roof flying in the wind, and the smoke from the barbecue grill blowing all over our faces. They definitely had the monopoly for desperate pre-hurricane meals. It was quite amusing. As the tarp shook and shook more, we decided it would be for our best interest to order our barbecue chicken meals to go. 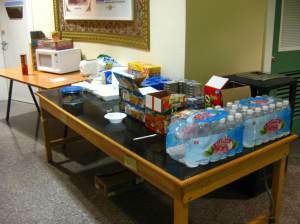 Despite us getting food at BB’s, the school also provided “survival kit”-style food and water. I personally was quite excited seeing the Chef Boyardee Beefaronis, the Ramen, canned tuna and sardines. As my BB’s BBQ wore off throughout the night, the school’s food was a life saver for my hunger. After a question-and-answer meeting about hurricane safety, we had the whole night to do whatever we wanted within the building. 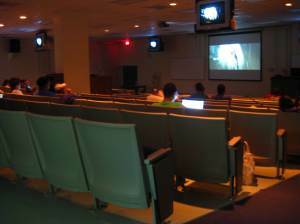 Lecture Hall 2 quickly set up to become a movie theater as we projected “How To Train Your Dragon” and “2012” onto the big screen. It was a double feature. 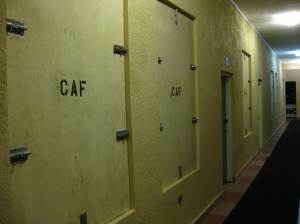 The dean’s office became the accommodations for the faculty and the hurricane safety team. The multipurpose room became the accommodations for those students with pets. There was a student who brought a cat and another who brought a dog. We decided it was OK if they ran free in the room out of their cages. Another couple brought a baby with them to stay in the pet-owner room and interestingly, they decided to keep him in the crib. 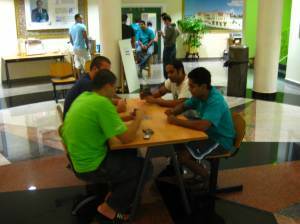 I had the pleasure of playing UNO with some upperclassmen friends and meet a lot of new first-semester students as well. Most students on campus right now are first semester students, as most of them arrive earlier to check in. Most upperclassmen come in on Monday as classes for us start on Tuesday. Unfortunately, yet fortunately, due to the weather, many of them are stuck back in the states with their families and loved ones and probably will not get in until Tuesday or Wednesday. Registration is postponed until Tuesday, and the registration late fees are waived. 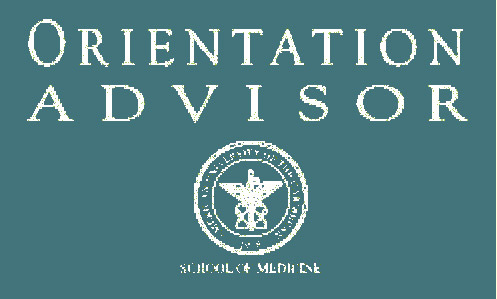 As of now, first day of classes will begin on Wednesday, unless unforeseen climatic circumstances prevents us to do so otherwise. Even though to me this is just one big fun slumber party, I couldn’t help but think what the new incoming first semester students must be thinking. How crazy it must be to come to a strange island far away from home for the first time and be introduced before anything else, to its most furious. As I write now, I hear the howls of 100-mph winds. It is quite frightening. But being on campus, I feel safe. This building is solid and will be going nowhere. 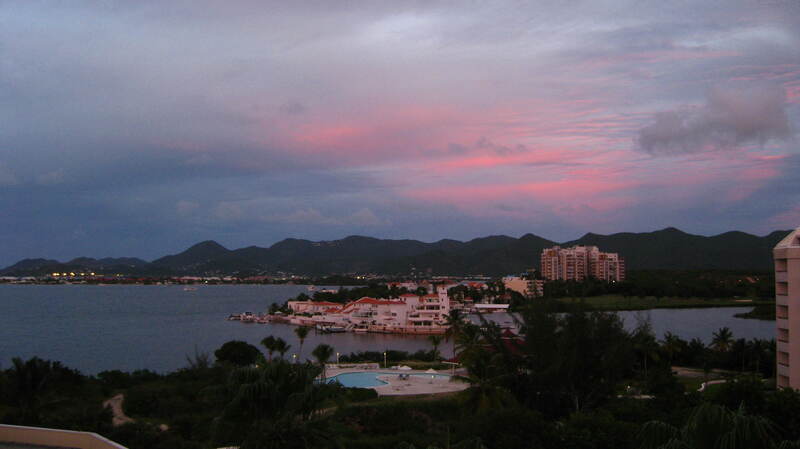 Weather in St. Maarten Hurricane Preparedness Meeting Orientation Advisor Sunset over AUC Second Semester Begins!